Get yours Monday-Friday from 9 a.m. to 4 p.m. No appointment is necessary. 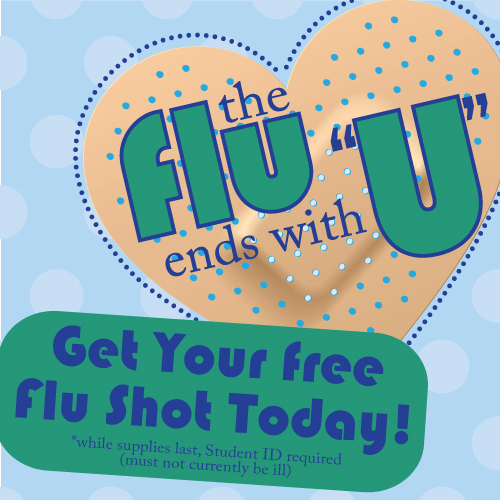 We offer the flu shot free to all students. No appointment is necessary. Shots are available Monday-Friday from 9 a.m. to 4 p.m. Our mobile flu clinic will make flu shots available around campus and at select regional campuses. Please see our Flu page for a complete list of dates and locations.